This Gaz coilover kit is for the Clio 182 Cup models (or Sport models with Cup Pack). Always check the bolt spacing of the two bolts that hold the strut onto the stub axle - measure mid bolt to mid bolt. 54mm is Sport models, 60mm is Cup or Cup Pack suspension. 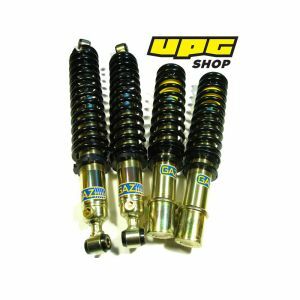 The kit is a full height and damping adjustable coilover both front and rear. The rear setup is seperate spring and damper, the spring sits on a hieght adjustable platform (supplied in the kit) to maintain full height adjustability front and rear. 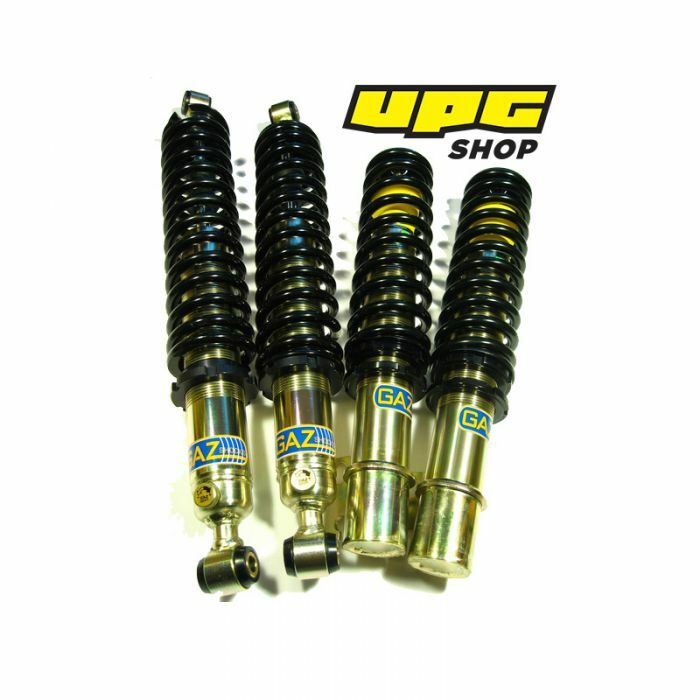 Gaz coilovers are covered by a two year warranty and come zinc plated for maximise corrosion resistance. A course acme thread is used on coilover bodies for ease of height adjustment. The springs and dampers are matched perfectly so your car will not feel harsh or crashy and will have much greater control through bends and over bumps resulting in better grip and handling.